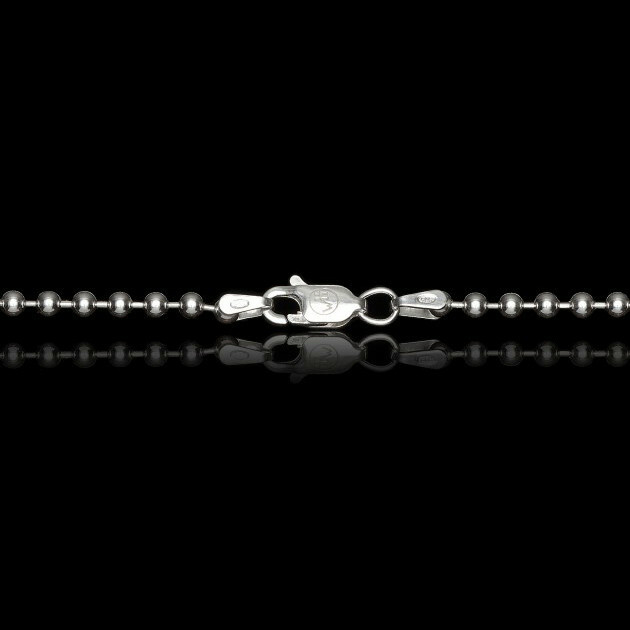 William Henry's interpretation of a dog tag necklace speaks the language of laid-back luxury. 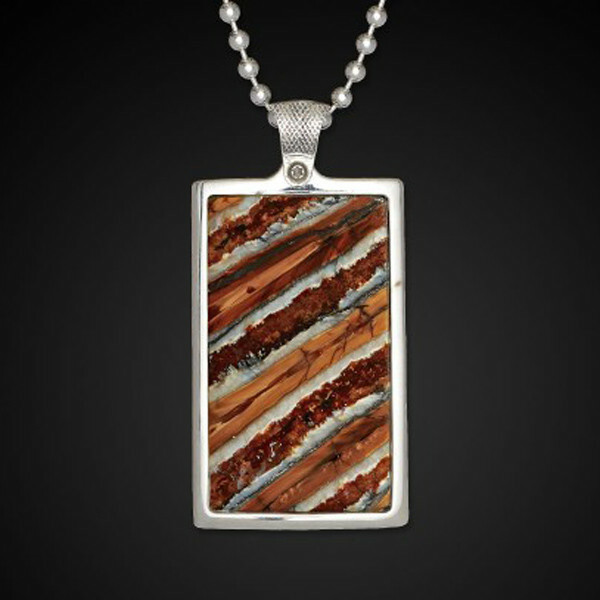 This sterling silver piece with a floating precious metal bail and chain is inlaid with fossil woolly mammoth tooth presented in a unique hand-cut leaf pattern. The company's branding can be seen on the textured back side. 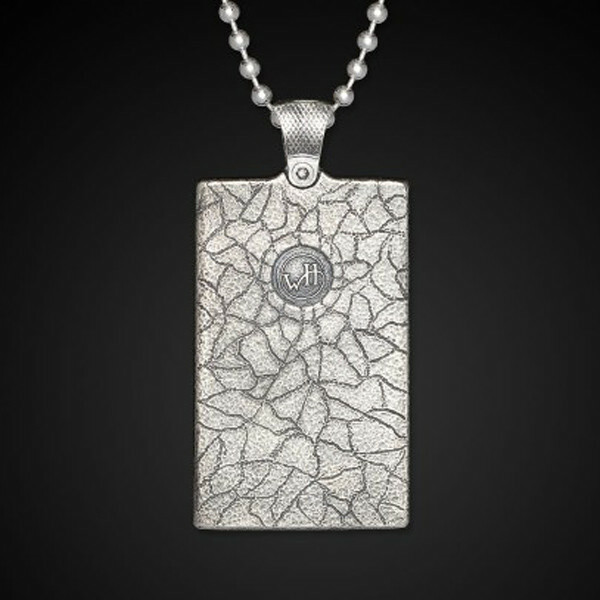 This dog tag necklace from William Henry will be a high point of your jewelry collection!